﻿ Chloe Ferry thought Sam and Nathan were having affair! Chloe Ferry thought Sam and Nathan were having affair! Geordie Shore is back for the 19th series, Tuesday night on MTV at 10pm and Chloe, Sophie, Sam and Nathan back as the original cast! Report by Lucy Jones. 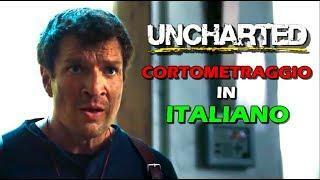 Uncharted Fan Film con Nathan Fillion tradotto in italiano!